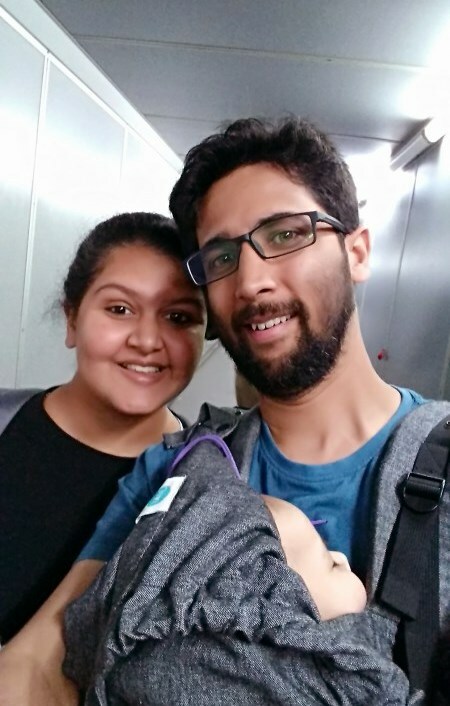 Hyderabad has been our home for over 3 years now and our travelling life started here. Though we have visited a lot of places somehow those nearer to the city have been neglected. It is the case of your backyard just not giving you that feel that a stamp on your passport can. We were talking to our cousins and we realized that though some of the places on our list here are just second nature to us and of course we know about them most don’t. So this year where we have so many chances of enjoying long weekends we decided to put this together for our friends who want to just be out of the city for a day or two. For some of the cities we have a detailed guide too just click on the Read more about the city tag below the city. It was very tempting to make a quick list of 30+ places but that doesn’t really help does it. These are just 8 places and if you have not been to anyone of them you can visit all of them this year. If you have been to everyone of these, share your insights as well. If you would like to add to the list and we have quite a few we would have added too, just put it down in the comments. Also let us know how many of these places have you been to. A great destination, Hampi is 369 kms from Hyderabad and is reachable by daily buses and trains. Recommended for long weekends, you’ll love the slow pace of the historic boulder city. Best time to visit is winters. Don’t forget to pack huge loads of sunscreen and umbrella if you plan to go in summers and you may miss the coracle ride during rains. With heritage temples, village life and awesome restaurants Hampi would be your best pick. You can easily find accommodation in the range of 400-500 a night and food can be as cheap as you want. There are no designated camping grounds but we have heard a few camping stories as well. The seat of ancient Bahamani Empire, Bidar is 145 kms from Hyderabad and is well connected by train and bus. You can also choose drive to the city as road conditions are quite good. You would be amazed by the monumental scale and expanse of Bidar fort and intrigued by the aqueduct system, Karez, designed by our ancestors. You can also visit temples and gurudwara which are quite popular. Don’t forget to pick your Bidri souvenir, the traditional metal inlay art. Winters are the best time to visit. 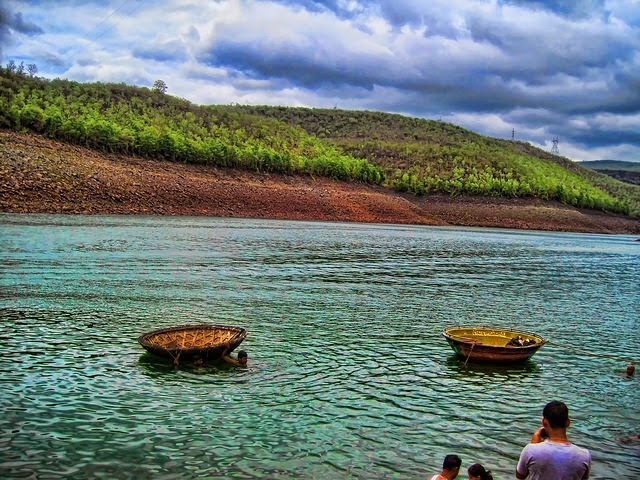 Located along the Godavari River in Eastern Ghats, Papikondalu is the best place to laze and enjoy the beauty of nature. Reach Rajahmundry, 400 kms from Hyderabad and hop on an amazing river cruise to reach here. You can visit temples, wildlife sanctuaries, go for fishing or just relax in the lap of Papi hills. Winters are the best time to visit, but it is bound to be busy. We checked around for a non booked option but could not find one. 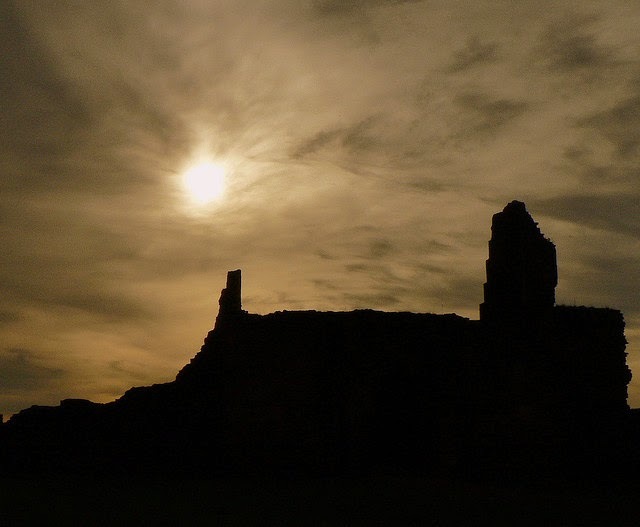 If you do know of how we can visit the area without a tour operator let us know. Barely 150 Km from Hyderabad is the historic town of Warangal with the distinction of being the Kakatiya capital for centuries. If you want to just spend a day or two and travel minimal this should be one of the destinations that you look at. The city is also a good destination for those who want to try their hands at road trips be it with a cycle, a motorbike or a car, you will be driving on NH 202 and from our experience on a recent trip the roads would be more or less good. Do not forget to visit the Fort, stone gateways and temples. 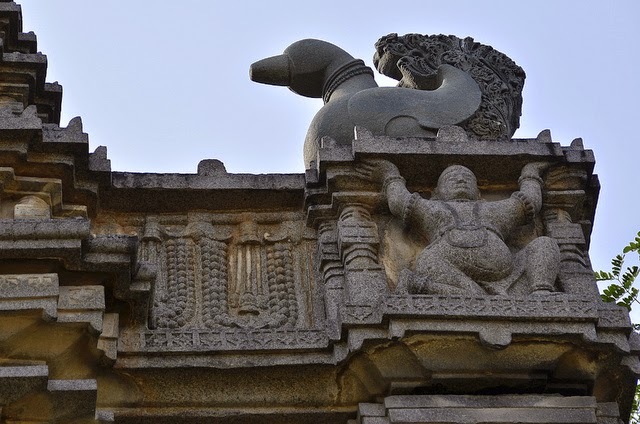 If you are in for a place hopping weekend starting your day with a visit to Bhuvanagiri go on to Warangal stay and visit Yadgirigutta on your way back. A popular weekend destination for many Hyderabadis and a stop for many religious travelers around the country the town offers much more than a visit to the deity. Counted as one of the Jyotirlinga, Srisailam can be reached by bus or train, though bus is one of the cheap and convenient options. The journey is through forests as the city lies close to the Nallamala forests. There is a tiger reserve nearyby as well, but that is not why you are going to be there. Hire a jeep or share one to get to the Ista Kameswari Temple, 16 Km into the forests. Another must visit are the Akkamahadevi Caves, hire a private boast or buy tickets for the tourism boat. For a long time we knew Nadhik as a city now it is much more than that, it is the wine city. With many vineyards putting their roots in the city and nearby areas it has now become a place to unwind with wine tasting and vineyard views. As with most of the places in India, you can have a vacation as cheap or as expensive as you want. Go for one of the Airbnb home stays for a cheaper stay or book one of the more luxurious options from here. If you want a vineyard stay that is also possible. 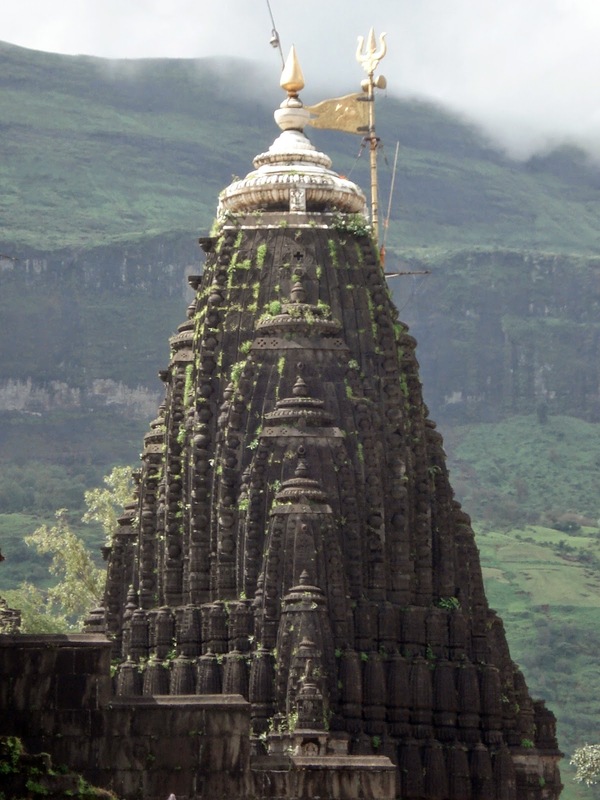 Not far from Nashik is the Triyambakeshwar temple which is again one of the many Jyotirlinga and has been a place where devotees have flocked to since ages. It is a bit far away with 650Km+ separating it from the city but it is still worth the journey,and you can also make a pit stop in Shirdi if you have time. Called as the cradle of Indian temple architecture Pattadakal is more like a laboratory where in one enclosure you will find various temple styles. The village is very small and while visiting we did not find a single lodge but then again we did not ask. We were busy roaming around the campus and then looking for food. Badami is the place where you will find options to stay and it is where you will get in if you take the train route. 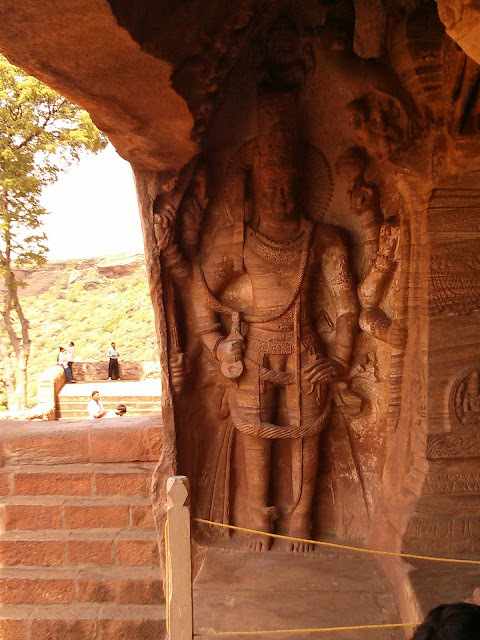 Badami caves are beautiful though not as widely spread as those of Ajanta and Ellora but beautiful none the less with sculptures to rival any one of the famous caves. If you are there for a long weekend take a trip to Aihole too. Aurangabad is around 540 km from Hyderabad and just an overnight train ride away. The city in itself has many things to do and see with Daulatabad Fort, Bibi ka Maqbara and others. 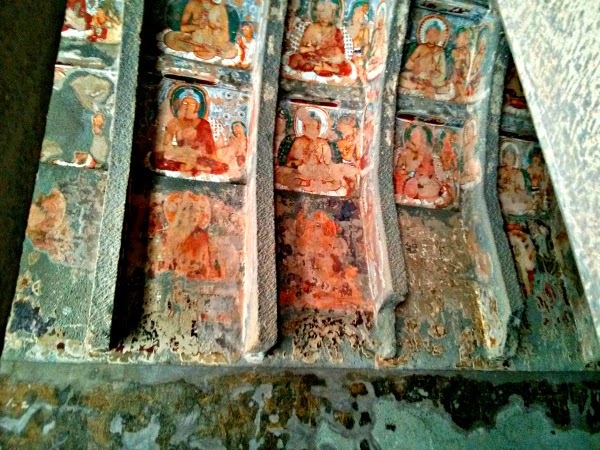 Those who land here come not just for the treasures of the city; they come for Ajanta and Ellora Caves. These are perhaps the most famous or all caves in India, Ellora being a sculpture heaven and Ajanta putting forward some of the best cave paintings of the world. We put together a guide for the caves, click here to sign up and download it. Thanks @Deepa Gopal Sunil what are you planning to do this weekend? Any travel plans? I went on a ride from Bangalore to Hyderabad and back, a ride of 1247 kms accomplished in 28 hours to eat the famed Kalyani Biriyani. What were you riding on/ and how did your legs take it? Which one is your favorite among them? Hampi for sure. Pondicherry comes a close second. 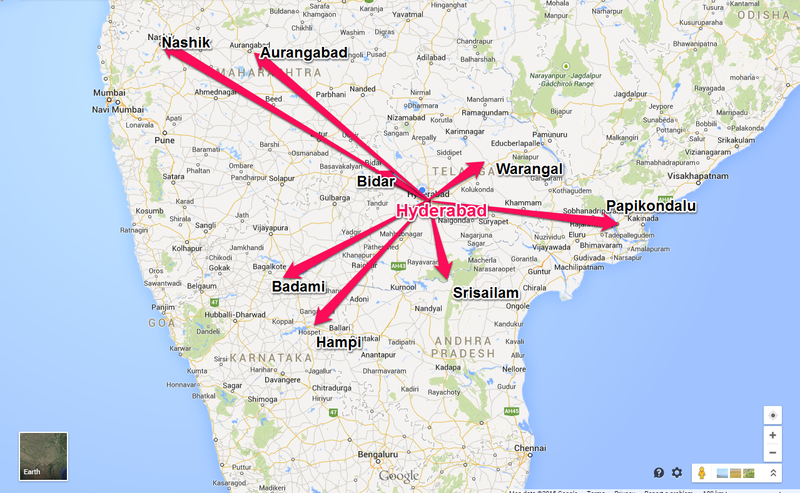 Wish I'd had a chance to visit some of these places on my work trips to Hyderabad! Fortunately, I did get to visit a lot of local places though. Shilparamam Market and Falaknuma Palace (for lunch) were my favorites. Even if you don't go far it can still count as a vacation! 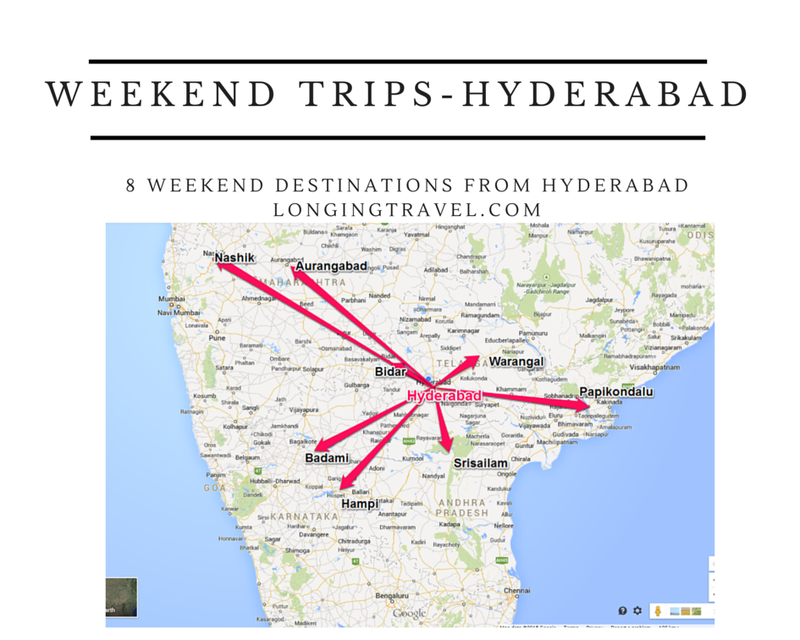 Great List ...Weekend trip for Hyderabad you have Shared ..Thanks For Sharing with us...! !